If you have chosen to use ProjectPier for your project management, you can count on BUYHTTP handmade hosting solution. Hosting for your ProjectPier website that just works. Servers optimized to give you the best ProjectPier experience possible. We’ll even install ProjectPier for you! We’ll move the ProjectPier site for you! Softaculous auto-installer – Install ProjectPier in just a few clicks. GD support – Needed for many ProjectPier plugins. Zend and Ioncube support – Needed for some ProjectPier plugins. 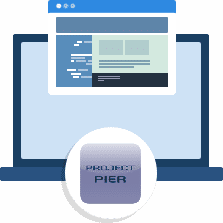 ProjectPier is a Free, Open-Source, PHP application for managing tasks, projects and teams through an intuitive web interface. It must be downloaded and installed on your own web server. 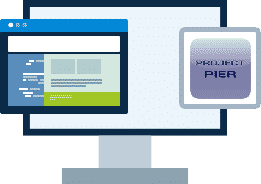 ProjectPier will help your organization communicate, collaborate and get things done Its function is similar to commercial groupware/project management products, but allows the freedom and scalability of self-hosting. Even better, it will always be free.